Synopsis: Athena concludes her talk with Ikusa who still insists that he can't remember a thing. 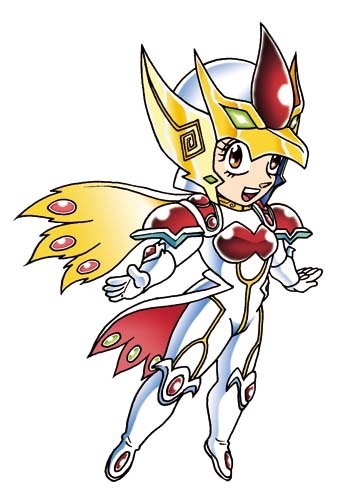 However, Athena says that she's extracted enough information and that her "companion" will take care of the rest. Also, she warns Ikusa that Hayate might still win the competition, but Ikusa is skeptical that anyone can make that much money in 3 days. Athena counters by telling him that Hayate is off to find a secret spice that might just swing the odds in his favor. On another part of the island, we go back to Hinagiku and Hayate. Hayate's had just about enough of the "being scared of ghosts thing" and says that they won't do that part this time while touching Hina on the shoulder (Hata makes it a point to emphasize the shipteasing panels). 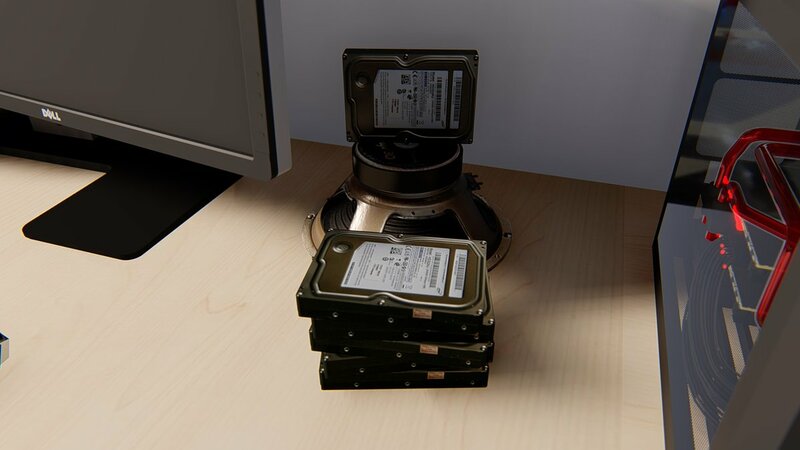 Oh noez! It's a ghost! Hayate is all business about finding this secret spice and pokes fun at the absurdity of finding such a thing considering they don't even know what form it will take and what it is exactly. He suggests that they search the island separately and promptly leaves Hinagiku behind to search for the curry by himself. No sooner has he done this when a ghost appears from out of nowhere to attack Hina, but before she could even finish screaming out for him. 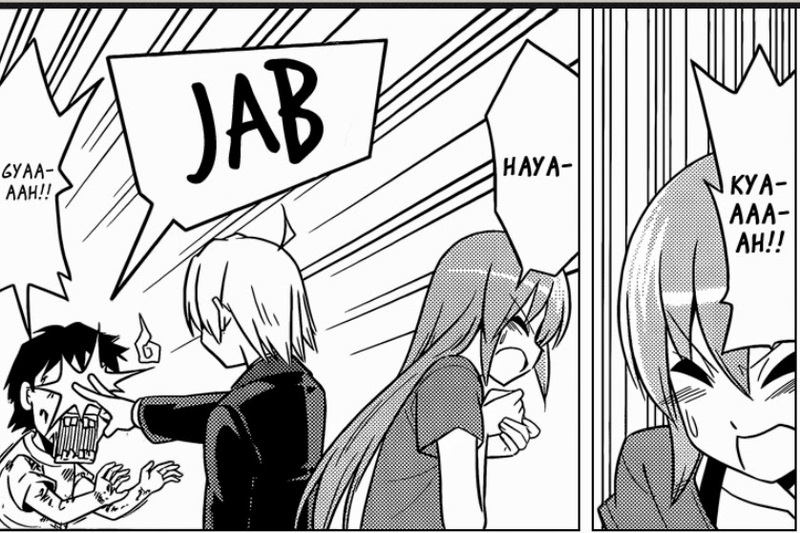 Hayate appears from out of nowhere and finger jabs the ghost in the eyes (both of them). 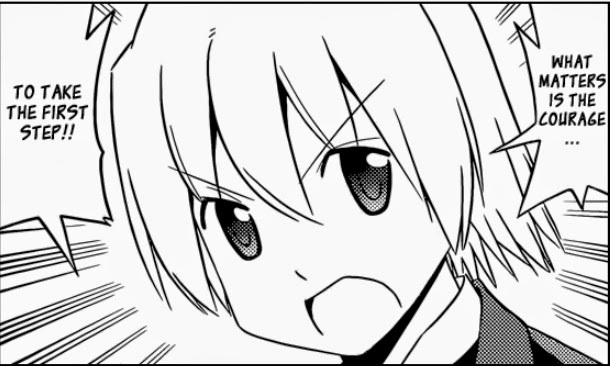 Hayate seems rather pissed off and tries to extract some info on the ghost as to the whereabouts of the curry -- unfortunately the ghost doesn't know. Unperturbed, Hayate orders the ghost to summon some other ghosts who do know. The ghost calls in a small group of other ghosts who finally inform them that the spice is a pirate treasure buried somewhere on the island. Hayate suddenly spouts an epic line that would have been inspiring in another context... but whatever, the ghosts are inspired by it anyway and one of them even aspires to be a doctor... even if he's dead. Hina and Hayate make for the pirate cave, but Hayate stops dead in his tracks because there's a rope in front of them that might be a booby trap. These pirates are more clever than he expected however since they also installed a secom sensor that sends a pile of rocks falling down upon them. Hina takes care of that with a little Shirouzakura action and Hayate notes how reliable she is. Finally, they find the secret spice inside the cave... which is nothing more than a treasure chest full of boxed curry spice -- they take it all back home anyway. As they say in Dune: THE SPICE! Review: Haha! I can't believe when was the last time that I found Hayate himself genuinely funny -- this was one of those times with the whole breaking the 4th wall thing and actually bullying that ghost into telling him about the curry. I have a feeling it's probably just Mikado that she's referring to though. 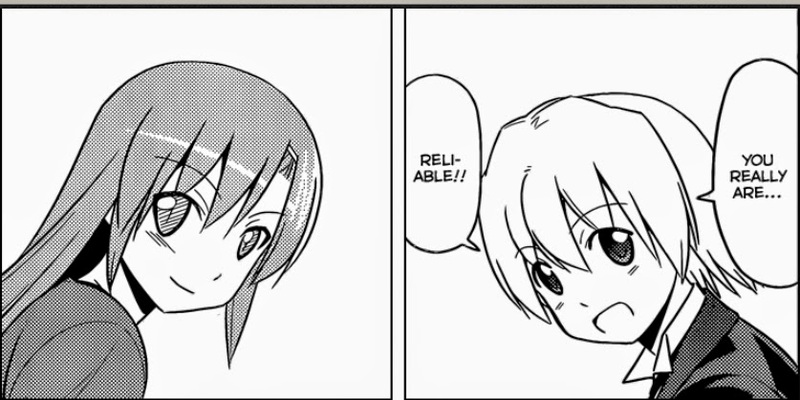 Other than that, plenty of Hina x Hayate shipteasing moments here. 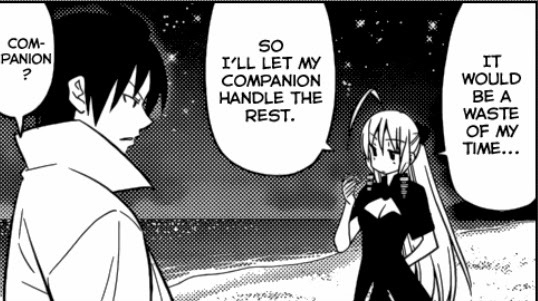 Hayate also re-confirms that he finds Hinagiku to be a reliable partner at the end of this chapter. Over-all, a pretty good chapter with a little bit of something for everyone. 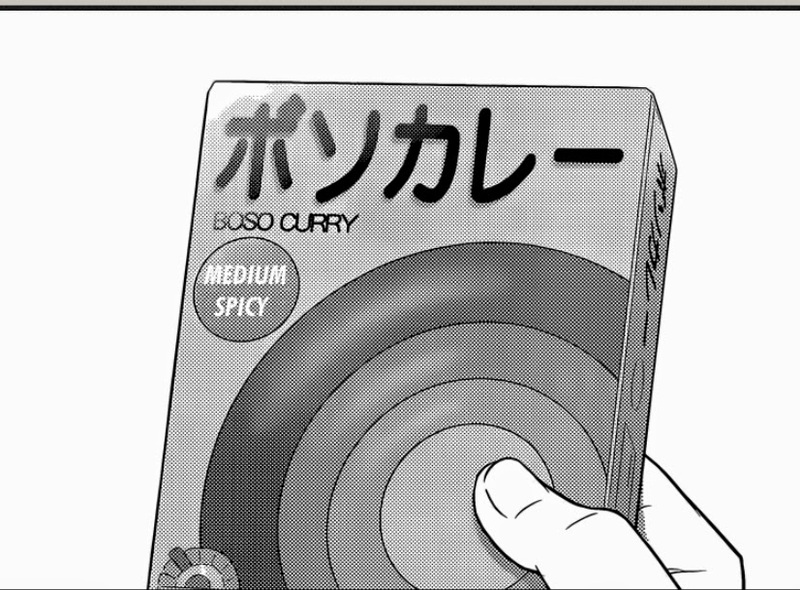 The boxed curry joke was a bit predictable considering Hata's style of humor, but I still chuckled a bit when it actually happened. I'm also glad that this "murder island" chapter is finally over and done with this chapter, which signifies that the plot is moving forward at a steady pace. Looks like Hata isn't quite ready to reveal whatever master plan Athena has hatched just yet. 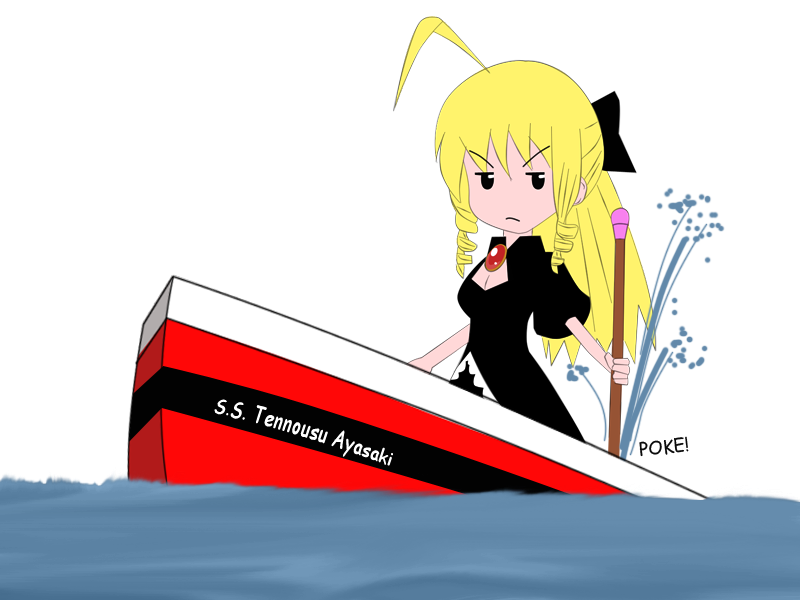 Well... y'know, maybe she should just marry Mikado... whatever, peoplez. whatever. Speculation Corner: Ok, nothing to speculate about just yet. Can't say much as to who will win the bet between Ikusa and Hayate since not enough has been revealed. Also have no idea where those shipteasing moments between Hayate and Hina are headed except maybe those "baby steps" mentioned by a certain Hina x Hayate shipper.